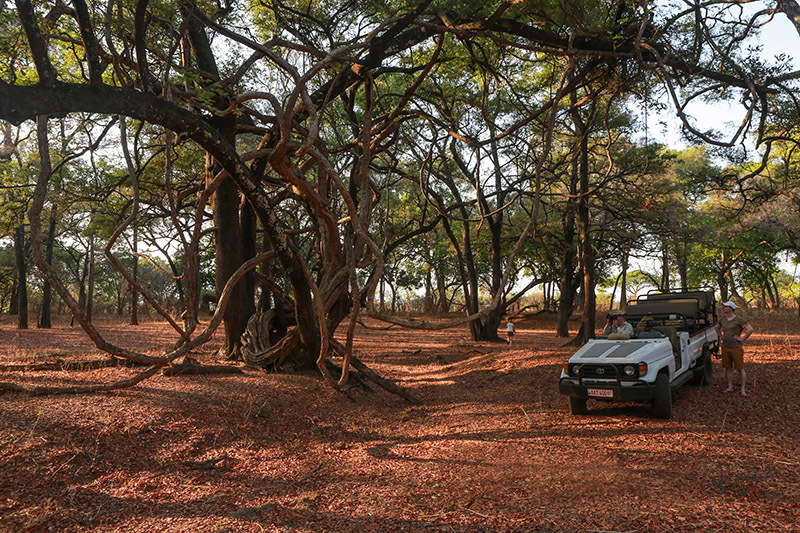 At Track and Trail River Camp you can join us for a morning or a night drive in the South Luangwa National Park, Zambia. 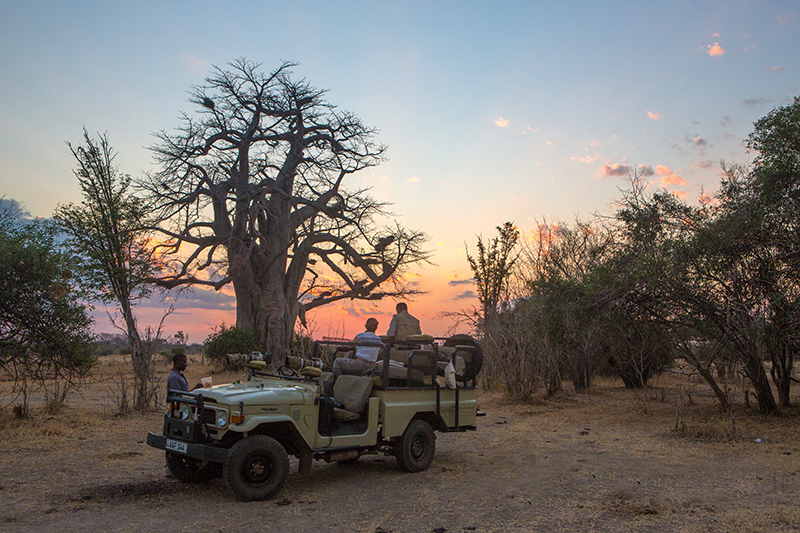 The morning safari starts around 06.00, just after a light breakfast at sunrise and takes place in open safari vehicles to fully experience the surroundings. 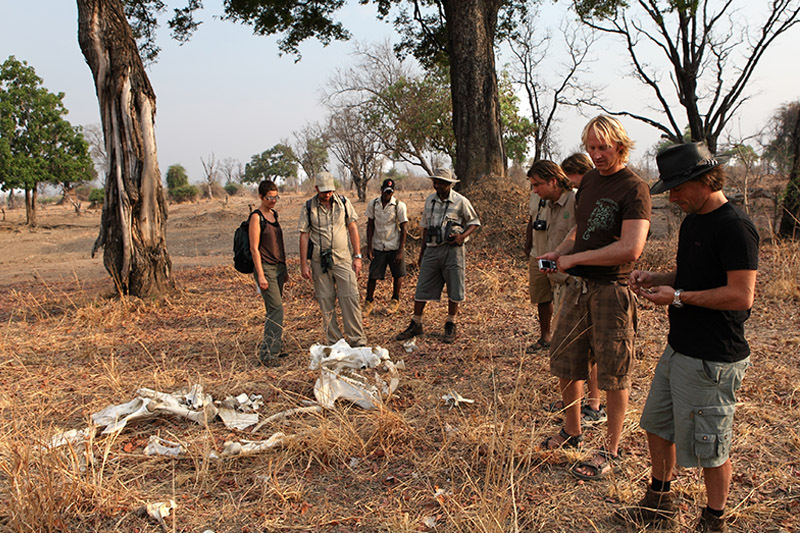 You will be accompanied by one of our professional, passionate and knowledgeable guides that will tell you all about the fascinating flora, fauna and birdlife of the Luangwa valley. 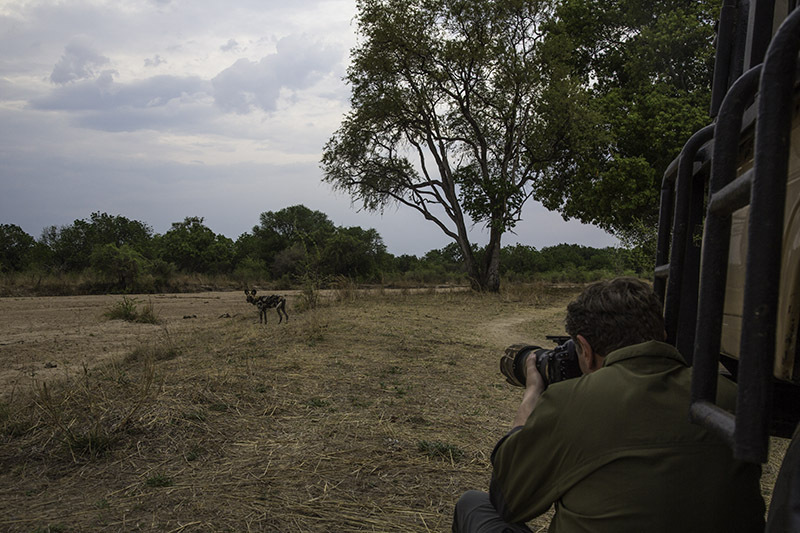 We specialize in photographic safaris and where possible the guide will position the vehicle to get the best angle for photographic purposes. 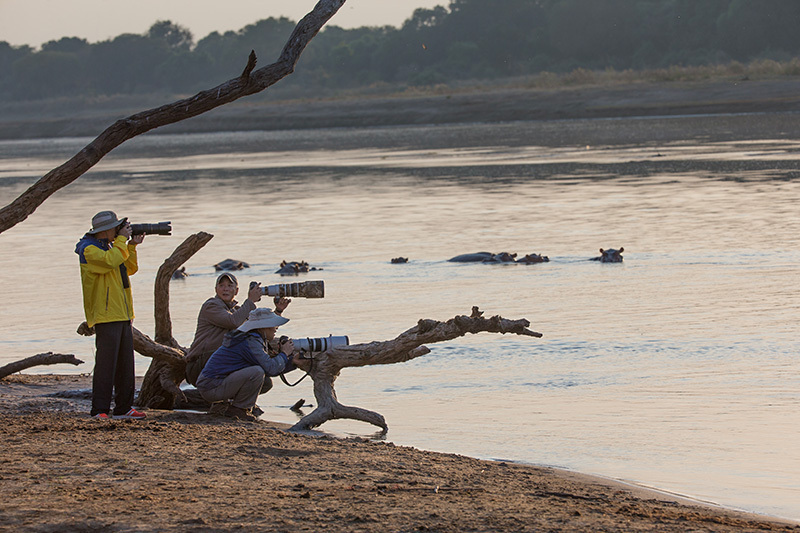 They will also part with advice and knowledge where they can, for you to get the best picture possible. 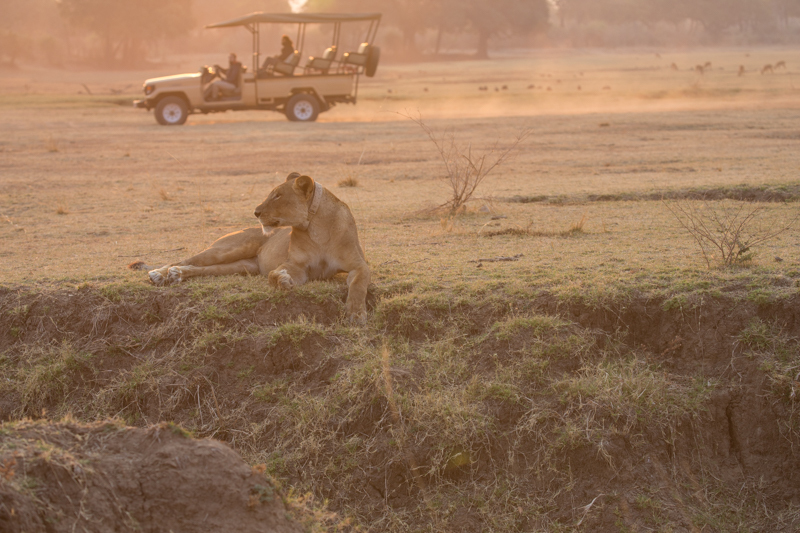 The safari will take about 4 hours, with a short break for a cup of coffee or tea and small bite. 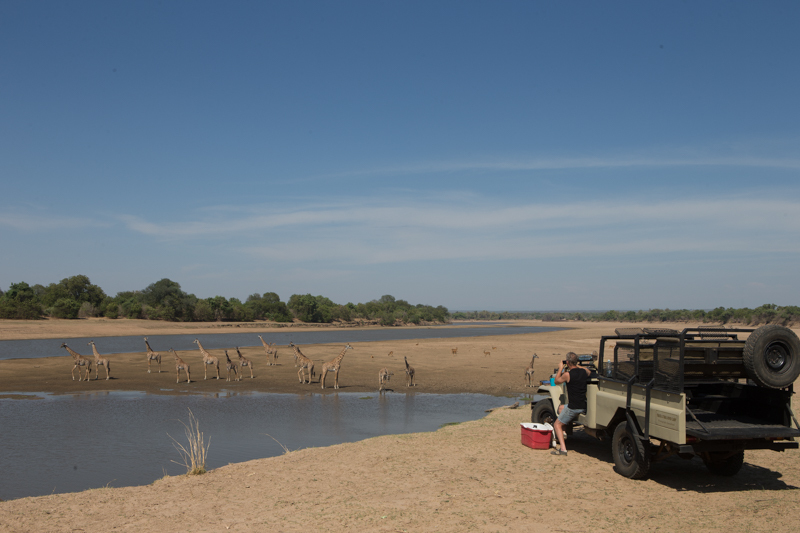 Around 10.00 you will return to camp and after refreshing yourself a delicious brunch will be waiting for you around 11.30. 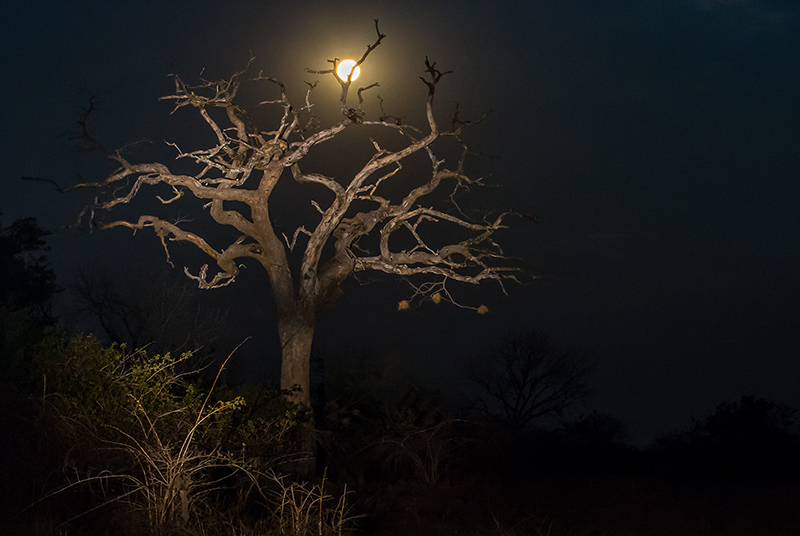 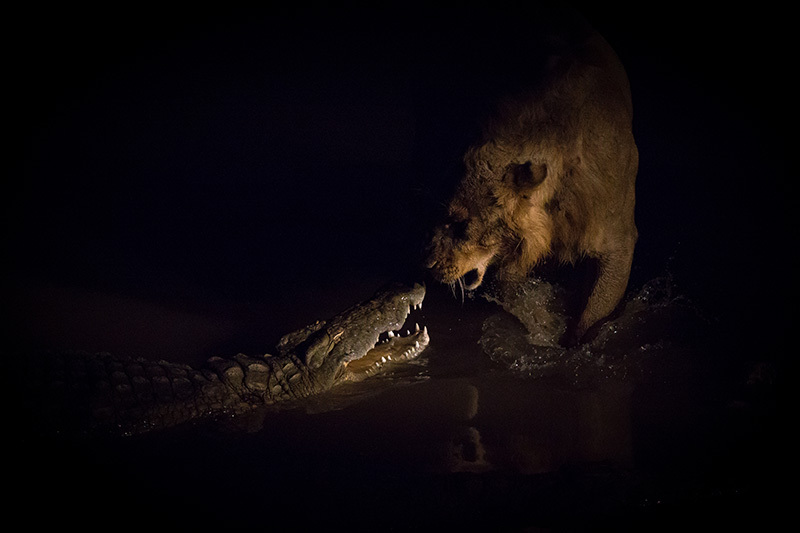 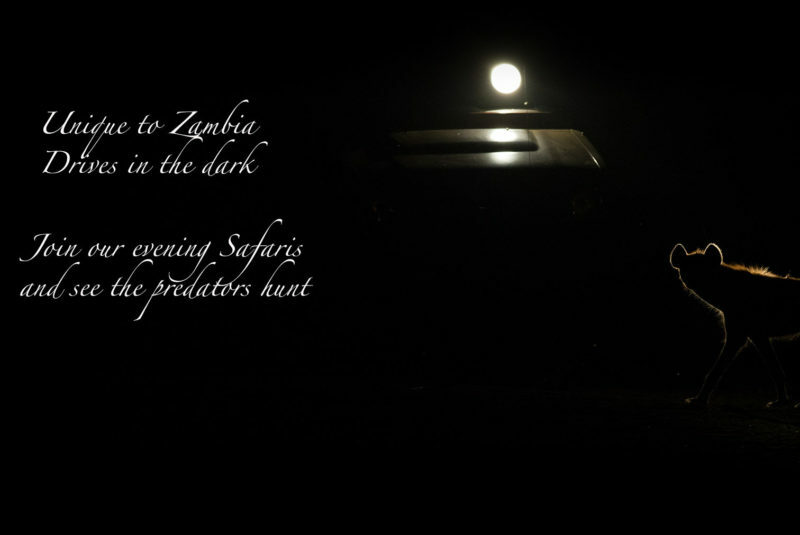 One of Luangwa´s highlights is a night drive in the park looking for nocturnal animals like: lion, leopard, hyena, mongoose, owl, civet, bush baby and genet. 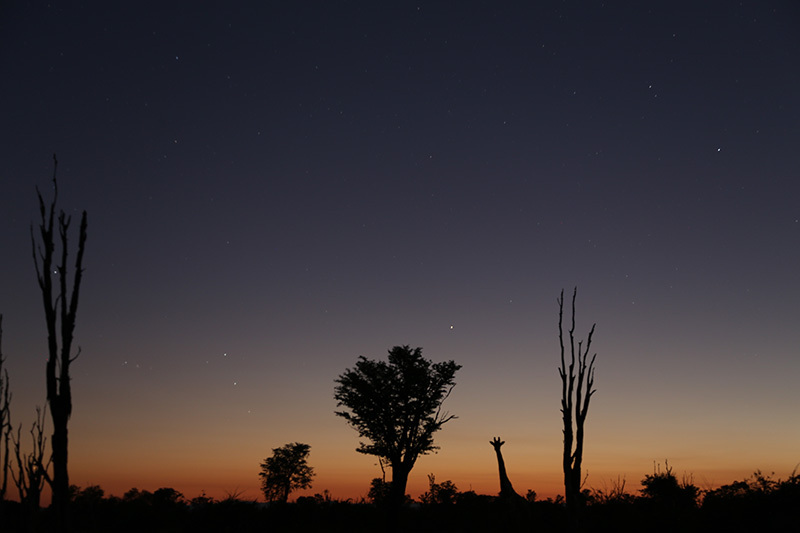 Around 16.00 our experienced guide will take you in the park, this time he will be accompanied by a spotter, who will handle a strong spotlight only to be used after the sun has gone down. 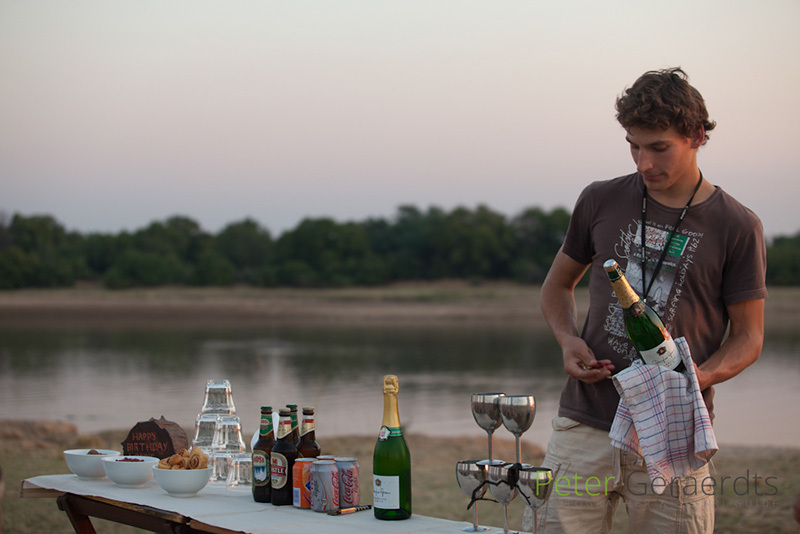 We will stop to watch the beautiful Luangwa sunset while having a drink and a snack and once it is almost dark we will continue the safari using the spotlight. 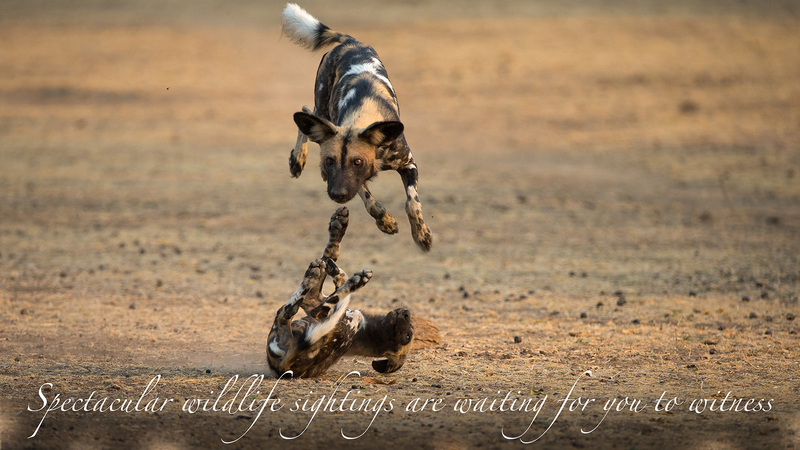 Our experienced spotter is skilled to find nocturnal animals. 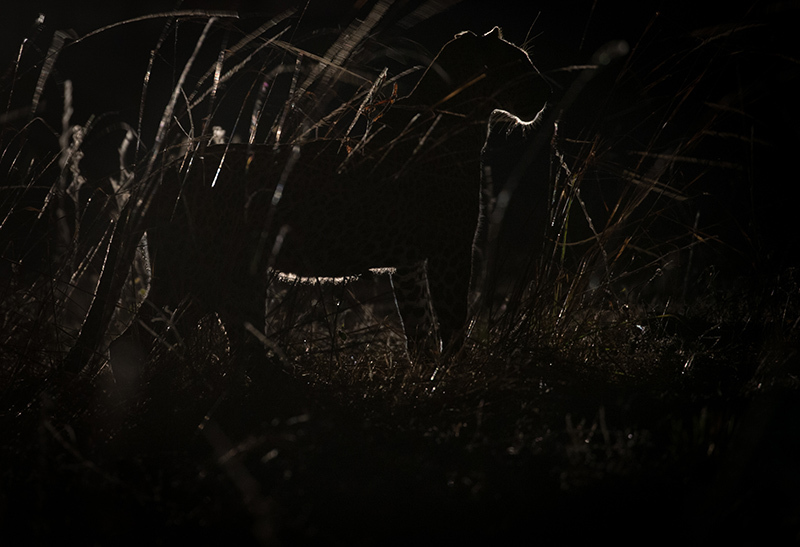 By the color of the reflecting eye, the blinking of the eye or the height of the eye from the ground up he knows what kind of animal he is dealing with and with some luck we might even come across a hunting leopard! 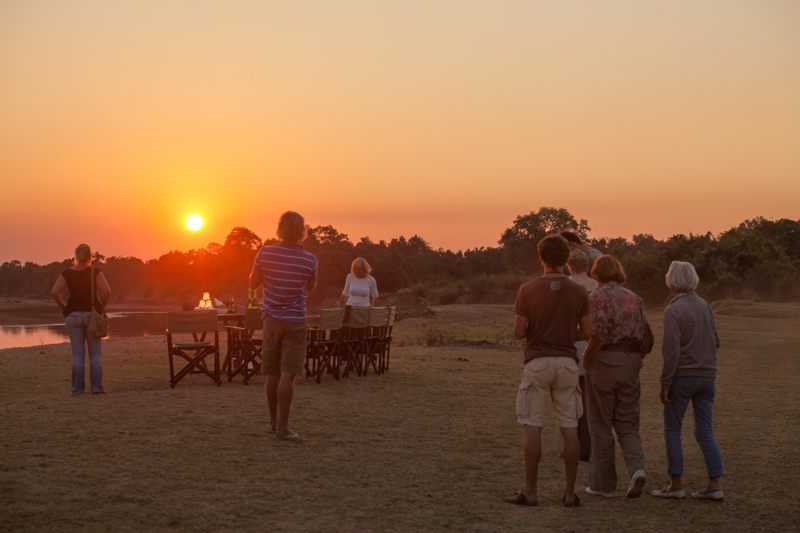 We return to camp at 20.00 and dinner will be served around 20.30. 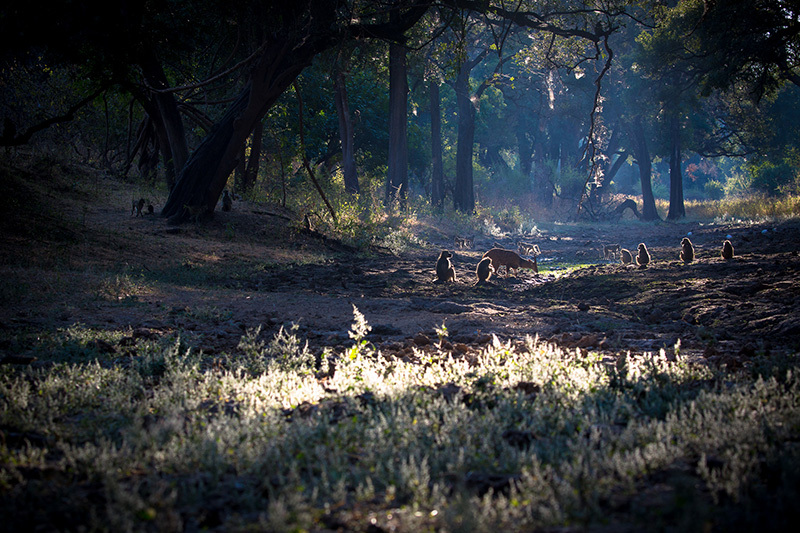 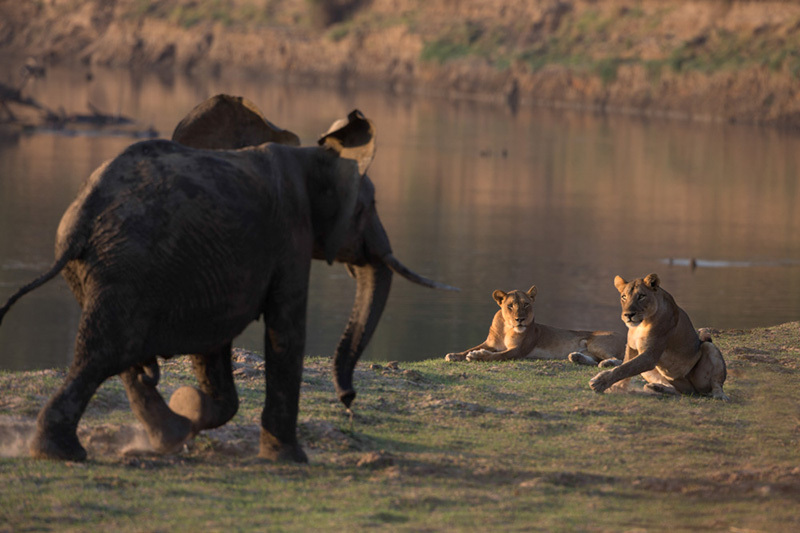 The Luangwa Valley is one of the few places in Africa were it is possible to do a walking safari. 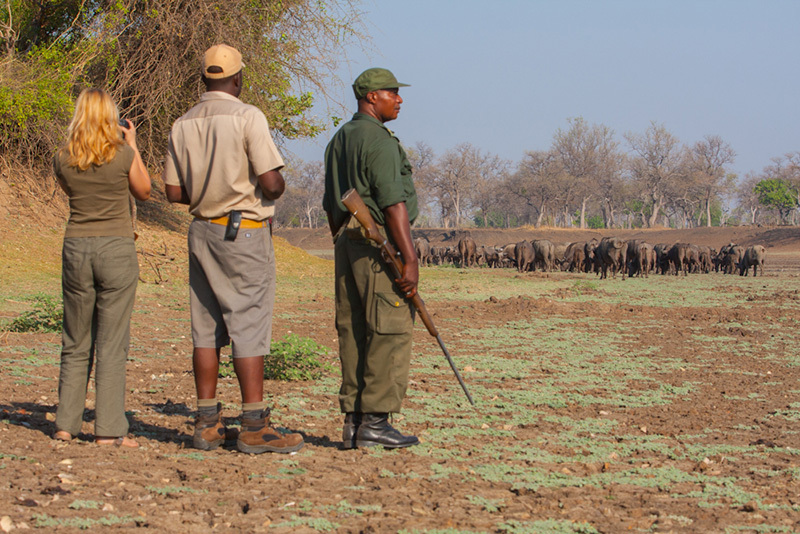 Our qualified and experienced safari guide and armed National Park scout will bring you in direct contact with all the park has to offer and not only to see the African eco system, but also to smell, feel, touch and hear the African wilderness. 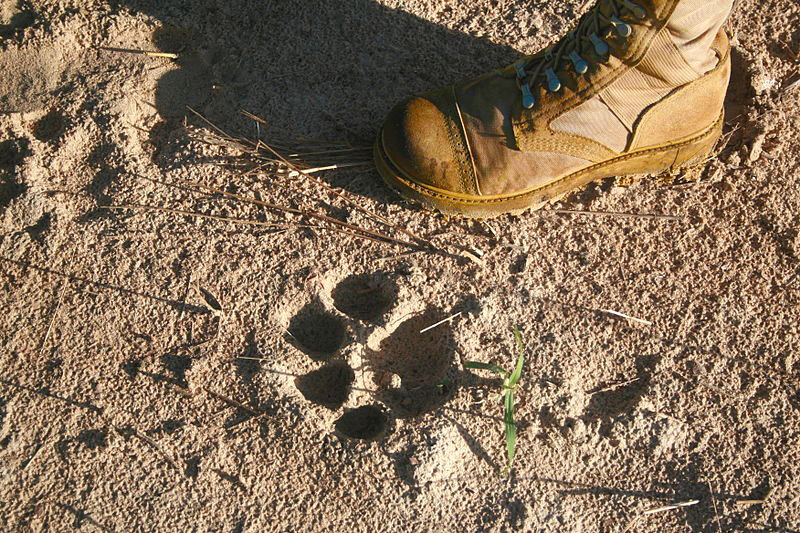 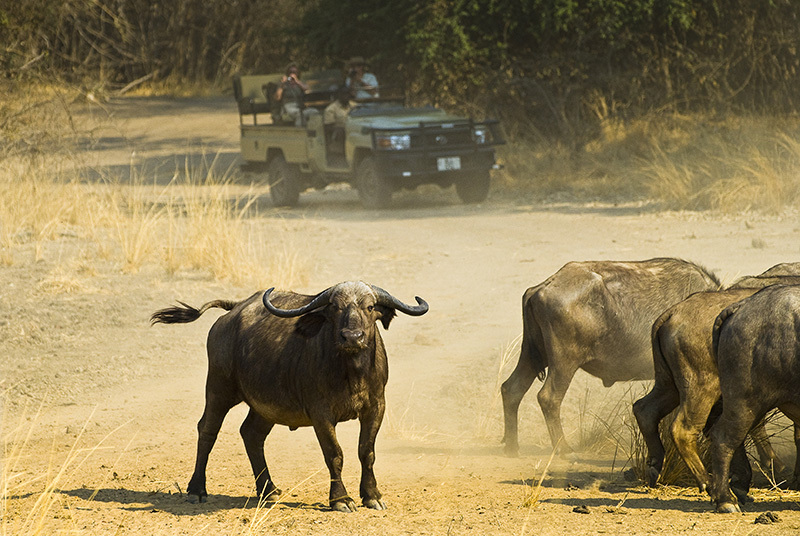 A walking safari is a perfect opportunity to experience that ‘up close and personal feeling’.?? 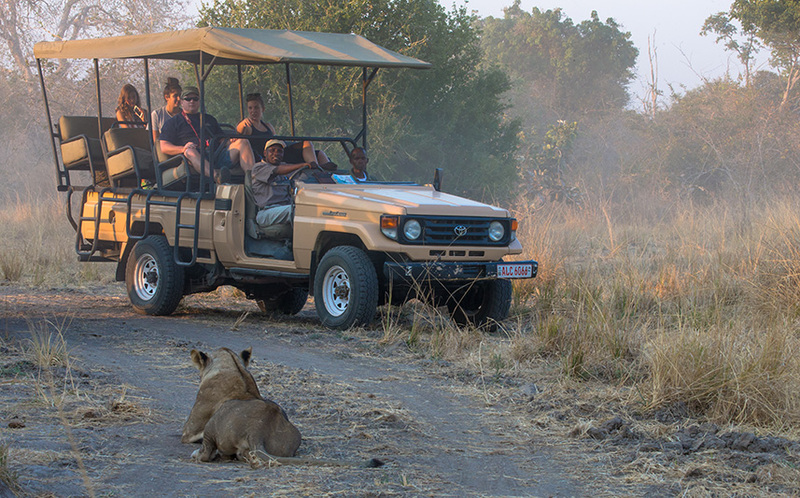 What better way to explore the Luangwa Valley, Zambia in your own pace then a private safari. 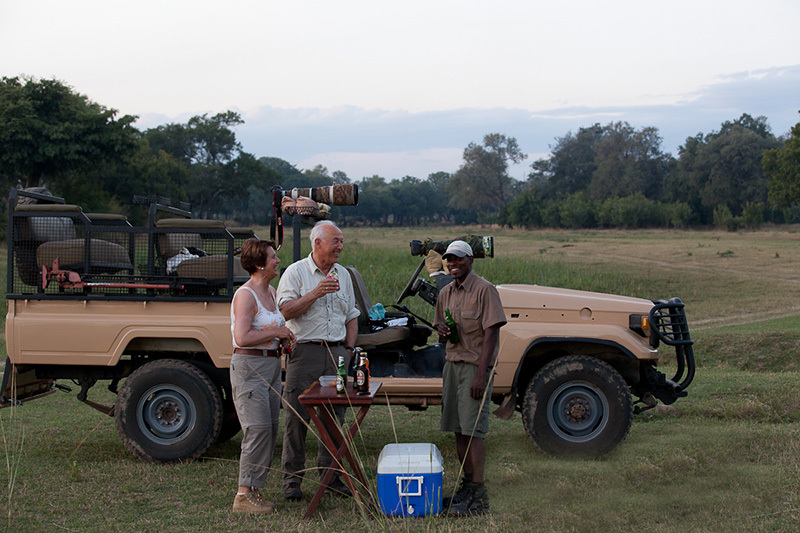 If you have specific interests that you would like to focus on, without being disturbed by the daily routine of the safari guides program together with our other guests, we provide the exclusive use of our guides and vehicles. 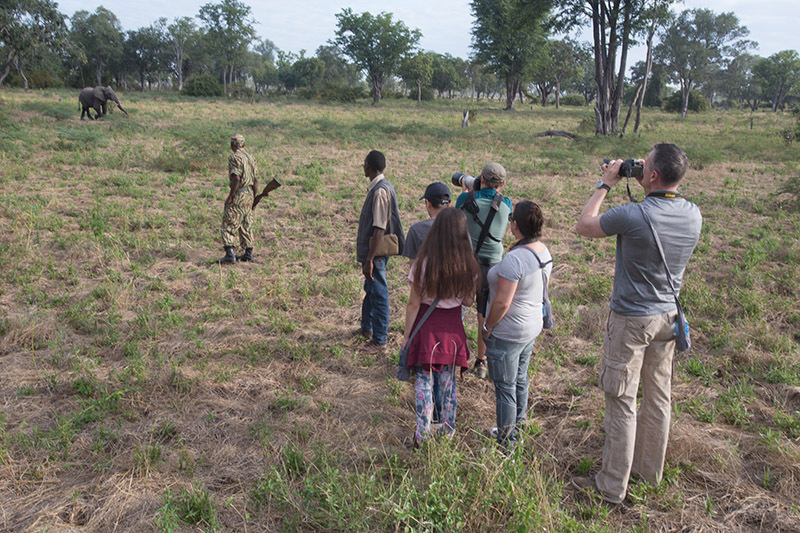 Whether you are an enthusiastic birder or a keen photographer, in this way you can take all the time you want to enjoy specific wildlife sightings. 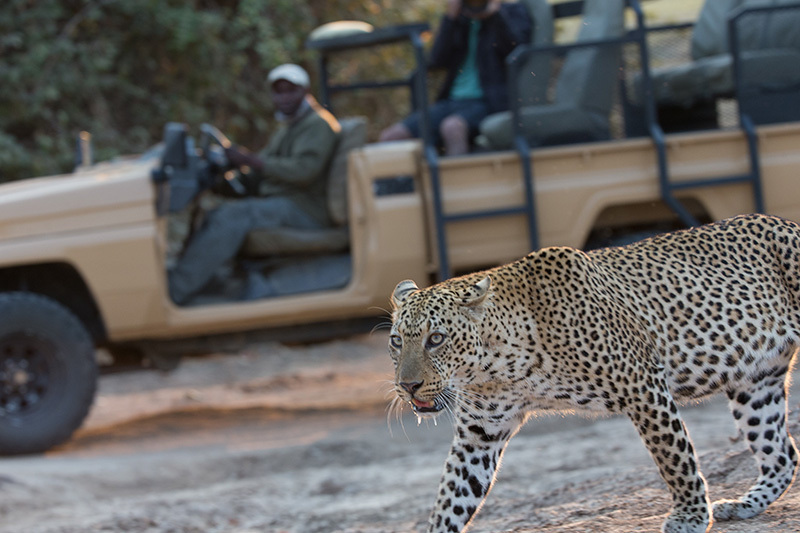 Your private safari will be a memorable experience of undisturbed wildlife viewing only surrounded by the sights and sounds of the bush.